Democratic Republic of Texas is a nation led by President Maans on the continent of North America. Democratic Republic of Texas's government is a Democracy with very libertarian social policies. Economically, Democratic Republic of Texas favors far left wing policies. The official currency of Democratic Republic of Texas is the Dollar. At 139 days old, Democratic Republic of Texas is a mature nation. Democratic Republic of Texas has a population of 750,650 and a land area of 9,250.00 sq. miles. This gives it a national average population density of 81.15. Pollution in the nation is almost non-existent. The citizens' faith in the government is at an all-time high with an approval rating of 100%. 04/07 07:18 pm - Democratic Republic of Texas changed their Color Trade Bloc from Gray to Black. 03/26 06:21 pm - Democratic Republic of Texas had war declared by East Sudan for the reason of "Arrgh are greedy capitalists...counter". 03/26 07:56 am - Democratic Republic of Texas had war declared by Oriarrow for the reason of "Response to you attacking Ally". 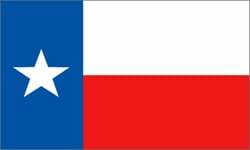 03/26 06:24 am - Democratic Republic of Texas was embargoed by Grand Republic of Cosbia. 03/25 11:17 pm - Democratic Republic of Texas had war declared by Harkava for the reason of "Don't touch my pacifists thanks". 03/25 05:28 pm - Democratic Republic of Texas declared war on United Kingdom of Elerios for the reason of "I just want some money, sorry.". 03/14 08:21 pm - Democratic Republic of Texas declared war on Thelisi for the reason of "looking for your money big boi". 03/13 06:21 pm - Democratic Republic of Texas declared war on ligma 2 electric boogaloo for the reason of "inactive raid". 03/13 06:11 pm - Democratic Republic of Texas declared war on Meinkamj for the reason of "I want your money big boi". 03/11 07:05 pm - Democratic Republic of Texas had war declared by Zygerria for the reason of "CU Counter - https://www.youtube.com/watch?v=EzVkK1wUTNE". 03/11 06:58 am - Democratic Republic of Texas declared war on Saint Augustine for the reason of "Just want your money, nothing personal". 03/11 06:55 am - Democratic Republic of Texas declared war on The United land of backpack for the reason of "I just want your money and resources- we can make a deal". 03/05 09:22 pm - Democratic Republic of Texas changed their Color Trade Bloc from Gray to Black. 03/01 02:22 am - Democratic Republic of Texas had war declared by Viribus for the reason of "CPF hit". 03/01 02:17 am - Democratic Republic of Texas had war declared by Turtalia for the reason of "A hit has been placed on you.". 03/01 02:12 am - Democratic Republic of Texas had war declared by Guadrucepe for the reason of "Conquer Paramilitary told me to do this.". 02/28 06:29 am - Democratic Republic of Texas declared war on Second Texas Republic for the reason of "THERE CAN ONLY BE ONE". 02/26 06:27 am - Democratic Republic of Texas declared war on Lols Imporium for the reason of "give me your money, ill give you peace". 02/25 07:50 pm - Democratic Republic of Texas declared war on Blasy land for the reason of "give me your money, ill give you peace". 02/13 09:51 pm - Democratic Republic of Texas changed their Color Trade Bloc from Gray to Black. 02/04 03:18 am - Democratic Republic of Texas had war declared by Pittsbull for the reason of "Pantheon Counter". 02/03 09:37 am - Democratic Republic of Texas had war declared by Ostermark for the reason of "Pantheon Counter.". 02/03 08:32 am - Democratic Republic of Texas had war declared by Cmryu for the reason of "Pantheon Counter". 02/03 07:51 am - Democratic Republic of Texas had war declared by Sautekh-Dynastie for the reason of "Pantheon Counter". 02/03 01:30 am - Democratic Republic of Texas declared war on Fallen Angels for the reason of "I just want loot, pm me for peace". 02/01 12:11 pm - Democratic Republic of Texas declared war on Cobraland for the reason of "give me your pennies". 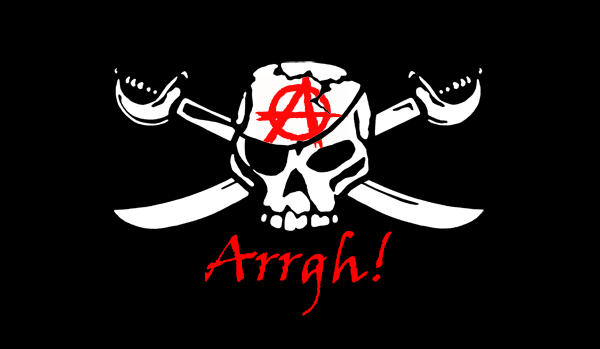 01/25 10:14 am - Democratic Republic of Texas declared war on Democratic Republic of China for the reason of "Argghh mate". 01/21 01:32 pm - The embargo on Democratic Republic of Texas placed by Aniyvnwiya has ended. 01/20 10:24 pm - Democratic Republic of Texas declared war on Mangolia for the reason of "I want ur money". 01/19 04:53 am - Democratic Republic of Texas had war declared by Wasteland for the reason of "Ever seen a supermutants head explode? ".